The marvelously self-deprecating new campaign, revealed at a Nebraska City conference on Wednesday, is an attempt to feed the area’s decrepit tourism industry. 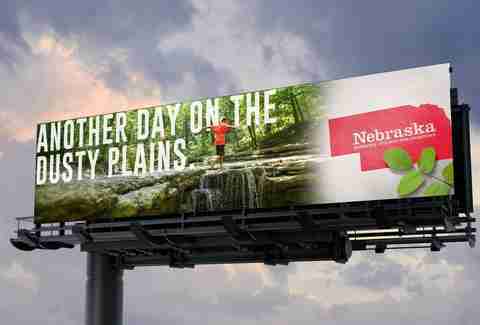 And apparently, the state’s prior slogans (Nebraska Nice, America’s Frontier, Nebraska... The Good Life), were not doing the trick. This should come as no surprise to anyone who has ever been a consumer of anything. 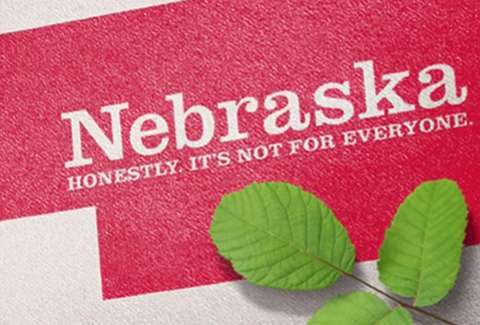 In the midst of his research for the new campaign, he reported that Nebraskans, when asked what was special about their state, would frequently reply: “there’s nothing to do, here” -- a remarkably unhelpful response. 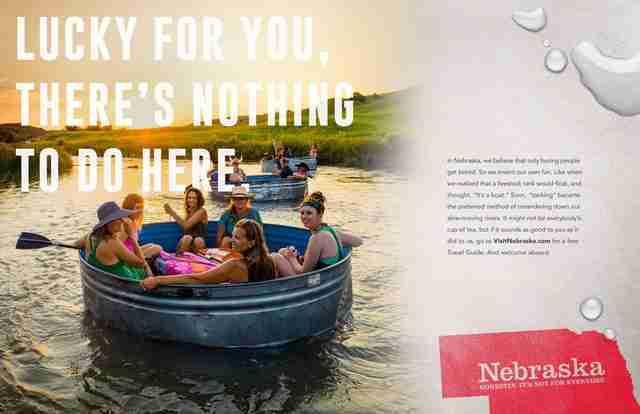 But apparently, Nebraskans are nothing if not frank. “It’s probably more edgy than we’re used to,” Lori Paulsen, executive director of the Nebraska Winery and Grape Growers Association told the Omaha World-Herald. And she’s not alone in the sentiment. It’s certainly a hip approach for a state that most recently appeared in national news for serving questionable Kangaroo meat in school lunches. It’s hard to believe Don Draper would get behind a tagline like “Turned out he was pretty interesting,” but you have to admire the sincerity. It’s no “Live free or die,” but it’ll do. Eliza Dumais is honestly a news writer at Thrillist. Follow her on Twitter.